Spring Coffee Lovers Blog Hop - How Have You Bean?! Well, it is Spring, and I do LOVE coffee - so what better way to celebrate than to join in the Spring Coffee Lovers Blog Hop?!! 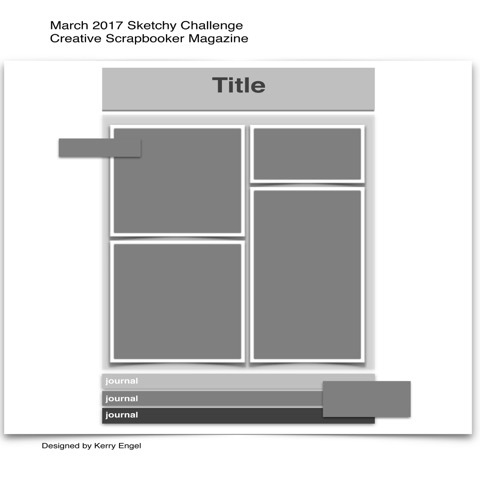 I used Sketch 490 from Mojo Monday as a guide and began creating! 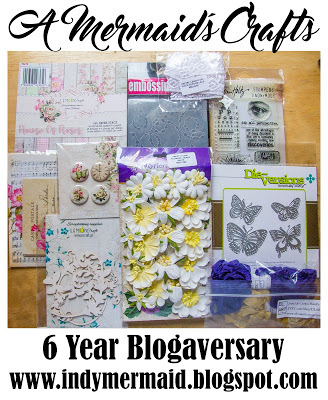 I started off by heat embossing a cute coffee cup from the Pretty Cute Stamps Coffee Faces stamp set onto a piece of Tattered Angels 12x12 Pure Mistable Crepe Paper cut to fit my card. This paper is so cool! It is a lightweight textured paper that has a crepe paper effect when misted - and is available in other textures such as burlap, leather and more! I used my Tattered Angels Mists from the English Garden Calendar Kit to spray the Mistable paper, and because the cup stamp was heat embossed with white it resisted the misting. I didn't spray the middle since it was going to be covered anyway. Then, I dried it with my heat gun. I then used the same mists to paint in portions of this yummy Coffee Stamps On Kraft paper from Canvas Corp, just dipping my paint brush right into the mist bottles. I even used a circle punch to cut out one of the coffee images and glued it to a piece of Canvas Corp Aqua Burlap, handcut to a circle. Here's a look at the Tattered Angels English Garden Calendar Kit - where you get 4 coordinating mists in a smaller size to mix and match. There are tons of Calendar Kits available and are a great way to try them out and see what you love best! I used some of the White High Impact Paint to paint the edge of a burlap flower I found in my stash after misting it with the Iris Baseboard (purple) and Tutti Frutti (pink) mists from the kit. I used one of the sentiments from the Pretty Cute Stamps Coffee Sentiments set on the diecut coffee cup cut from the PPPR Pumpkin Spice Latte cut file. I used some pretty Canvas Corp Kraft and White Chevron paper for the base of my cup and traced the cut coffee holder onto the back of a piece of the Canvas Corp White Flute paper. I love that the corrugated look of this paper actually looks like a coffee cup holder!! I stamped a few coffee beans and added some lovely SpiegelMom Scraps sequins! This was such a fun card to make, and I love the texture on that Mistable Paper! But now I'm totally craving a cup of coffee! Wild Whisper Double Pocket Page Layout with VIDEO! Hey there crafty friends! I hope you're having a fantastic week!! We are on Spring Break this week and we're busy doing lots of fun activities close to home. The weather has been beautiful, so we've been bike riding, playing at the park, drawing with chalk and doing crafts. I wanted to pop by today to share a peek of some pretty pocket page layouts I made using the amazing Wild Whisper No Place Like Home collection. You can see the full details on how I made these pages along with a supply list on the Wild Whisper blog HERE! And here's a link to the process video! Thanks so much for stopping by today! Be sure to head over to the Wild Whisper Designs blog to see all the details, and have a fantastic week! Wow! Another week has gone by and I have some crafty sites to share with you for the weekend! 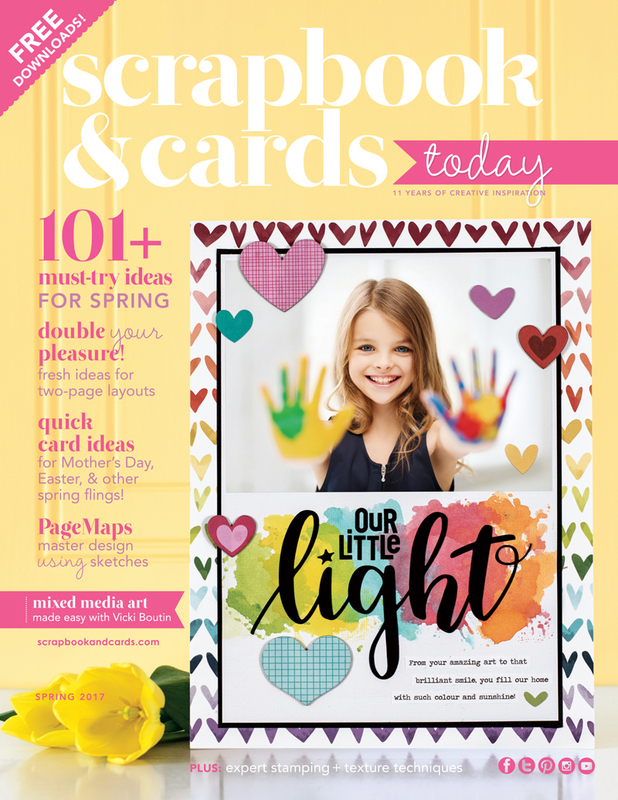 1) Craft Stamper Magazine is a wonderful magazine, full of amazing techniques and ideas! 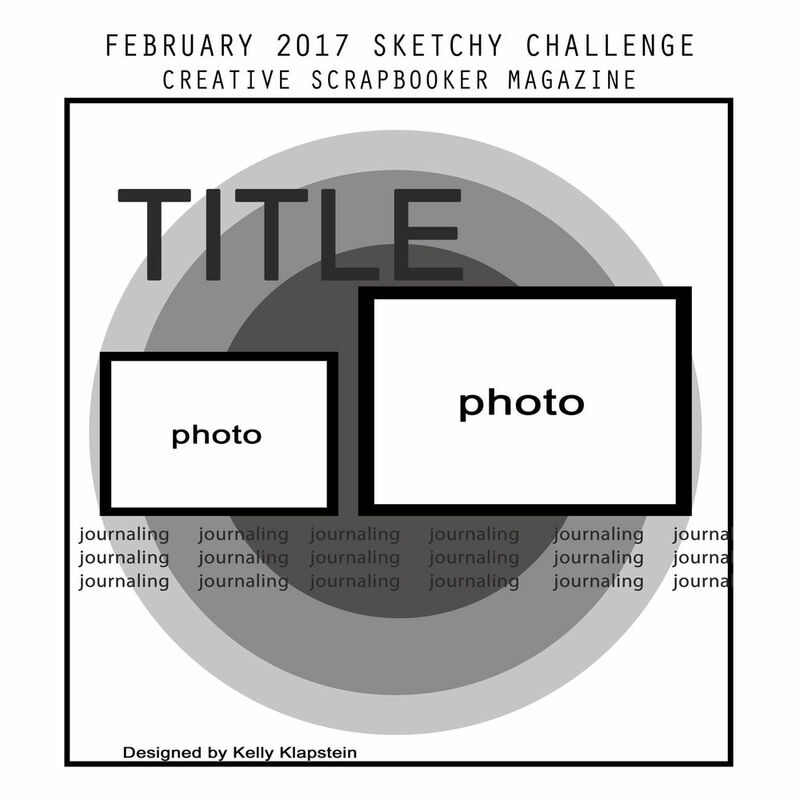 The Craft Stamper blog also has challenges, links to submission themes they are looking for in their next issue and a page with FREE digital stamp images each month for you to download! The magazine itself showcases projects made with these stamps as well. If there is a magazine you love it's worth checking out whether they have a blog - and you might find extra online inspiration and freebies! 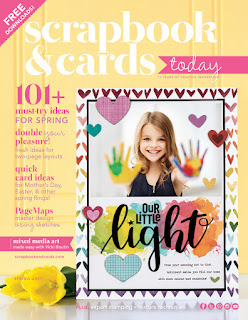 2) Scrapbook & Cards Today is another fabulous site with giveaways, lots of crafty inspiration and a great BLOG. They also put their magazine online FREE! Their newest Spring 2017 issue is available as a download or to view online right now. 3)The Scrap Gals Podcast is a great podcast to listen to when you're scrapping, driving or cleaning the house! You can listen to Tiffany and Tracie chat about all the fabulous things they come up with each week - organizing your supplies, what people think they struggle with or are fantastic at when it comes to scrapbooking, and so much more!! You can subscribe to it at iTunes HERE or listen on their website HERE. You'll find yourself talking along to them and laughing out loud ;) You can also check out the Scrap Gals Community group on Facebook HERE. 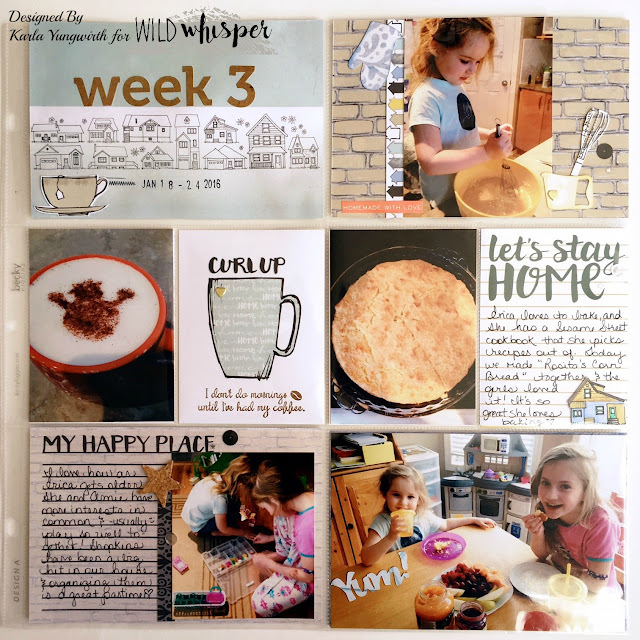 4)If you're looking to join a scrapbook kit club you can check out the Hip Kit Club, but you don't have to join to have access to their FREE Monthly Cut Files! You just have to create an account and login so that each month you can download their awesome FREEBIES!! They also have a BLOG where you can see so many inspiring layouts and projects. 5) And lastly, if you're looking for a good chuckle, this video by the talented Carissa Wiley where her hubsband does a voice over will have you laughing! If you wonder what our non-crafty friends and spouses wonder what we're doing with all those fun crafty supplies - this will give you a good idea! Thanks so much for stopping by today! I hope you have a wonderful weekend, and a crafty week ahead!! Kitty Bee Designs - Hopping Down The Bunny Trail Easter Card! Hello there! I'm sharing a sweet little Easter card over on the Kitty Bee Designs blog today using the super cute Carrot Wagon Bun digital stamp from Kitty Bee Designs! I can just imagine how happy this little guy is to have found such a big, yummy carrot to bring home in his little red wagon! I printed this digi image on white cardstock and used some Prismacolor and Hobby Colour Markers to shade in the bunny and colour the carrot before using a circle cutter to cut him out along with a pretty patterned paper border. I used a Heartfelt Creations poppy die to make my little paper flower and layered it with a fussy cut embroidery hoop and puffy sticker from CTMH. I have a booklet of Tim Holtz 'small talk' occasions stickers and found this cute Easter sentiment. A few scattered SpiegelMom Scraps sequins add some pretty bling! Inside, I added some matching patterned paper, another TH sticker and a few more pretty sequins. The Pink Paislee paper from the Take Me Away collection was perfect to add an Easter feel to my card. Thanks so much for stopping by! 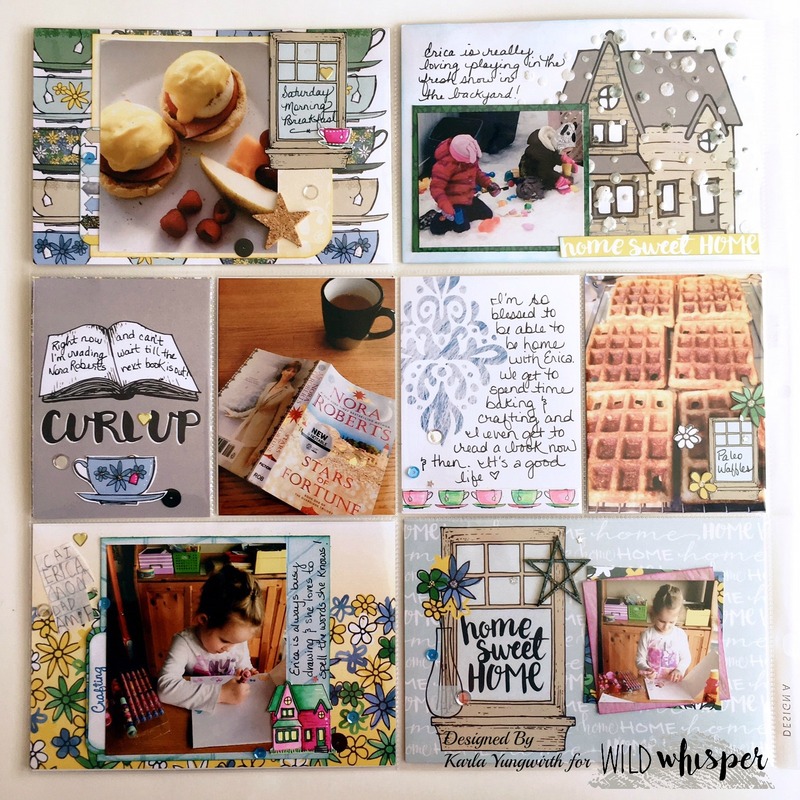 If you love these adorable little stamps from Kitty Bee Designs and want to share your creations with others, you might want to check out the Design Team Call and be part of a great team of ladies (plus get some super cute digi stamps!!). Wishing you a wonderful week! FCCB #297 - Anything Goes! Happy Monday and welcome to another Monday challenge on the Fantabulous Cricut Challenge Blog! Make a project using anything in the Cricut Library! I used my new DOX Inks along with some Tattered Angels Ivory Baseboard and Tutti Frutti Glimmer Mist sprays to colour the diecut. I added some DOX Ink to the top of my black wooden Happy diecut and stamped 'Father's Day' directly onto my photo. The 'love' paper clip is a coordinating Starshine embellishment. I decided to stamp some CTMH stamps on my heart diecut before popping up with foam dots, and I clustered some fussy cut elements, wood embellishments and cork confetti stars (from SpiegelMom Scraps) along with some Simple Stories enamel dots. I always forget about these pretty dots, but a crop is a good time to grab a few of those things you've been meaning to use, but haven't got around to. When you have limited supplies with you it's easier to be creative with what you do have! The 'this beautiful life' sticker is a clear sticker, and I wanted to have a solid base on it, so I layered it on ivory cardstock and cut around the edge. Here's a selfie of one of my crafty besties, Laura, and myself at the crop! and all the fun goodies I had set out on my table! For my second page with photos from this Father's Day I used the March 2017 Creative Scrapbooker Magazine sketch and used more of the Shimelle Starshine collection so it coordinated with the first page. I used the fun letter stickers in the collection and added more wood and cork embellishments, a fussy cut camera and enamel dots in coordinating colours. At the crop some people had items from their own stash for sale, and I picked up a CTMH stamp set with the fun DAD sentiments and images that I used on my pages for $2. Yay! I added the Awesome sticker on some ivory cardstock and popped it up with foam dots beside the DAD stamped sentiment. It matches the 'Awesome Dad' on the cute plaque Amie made for her dad in the photo! Thanks so much for stopping by! Be sure to head over to the Fantabulous Cricut Challenge Blog to see what all the other Design Team members have come up with for this challenge, and enter your own Anything Goes project with a Cricut cut for a chance to win!! Pretty Cute Stamps - The Sun Will Come Out Tomorrow! Hello! 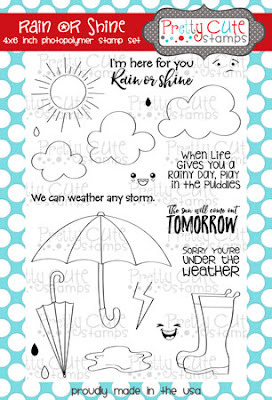 I'm sharing a cute get well card over at the Pretty Cute Stamps blog today, and since it is officially Spring I thought the PCS Rain Or Shine clear stamp set would be the perfect thing to use! I recently went through all my patterned paper and found this cute umbrella paper in my stash - it immediately made me think of this adorable stamp set! I stamped the umbrella on some patterned paper and used my Prismacolor and Hobby Colour Markers to add some colour to the edges and handle before popping up with foam dots. I really love the font on 'The Sun Will Come Out Tomorrow' sentiment from the set! I've been playing around with my new Distress Oxide Inks and created a background with some fun splatters! These inks are awesome!! I used my CTMH oval cutting system to cut out a piece of the background along with a black mat. I love the way the sunshine stamp in the Rain Or Shine stamp set peeks out from behind the umbrella! I added some yellow marker colour on the sun and then dropped some Glossy Accents over the oval and umbrella to look like rain drops. I tied a pretty blue silk ribbon and added my favourite sequins from SpiegelMom Scraps! I love all the fun sentiments in this set - and this was perfect for my get well card, and these little rubber boots are so adorable with a matching paper pieced print! Be sure to head over to the Pretty Cute Stamps blog to see lots more inspiration! I've been thinking there are so many cool and creative ideas, sites and blog posts I come across each week that I would start sharing some of them with you! 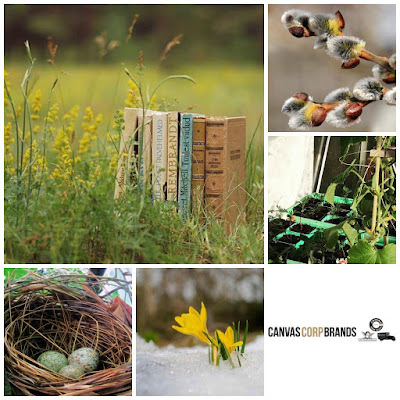 1) Each month the Creative Studio on the Canvas Corp Brands blog has a challenge, and they have the most beautiful mood board put together to inspire you! This month's theme is 're-birth' and you can use whatever supplies you have on hand and follow the theme/moodboard. 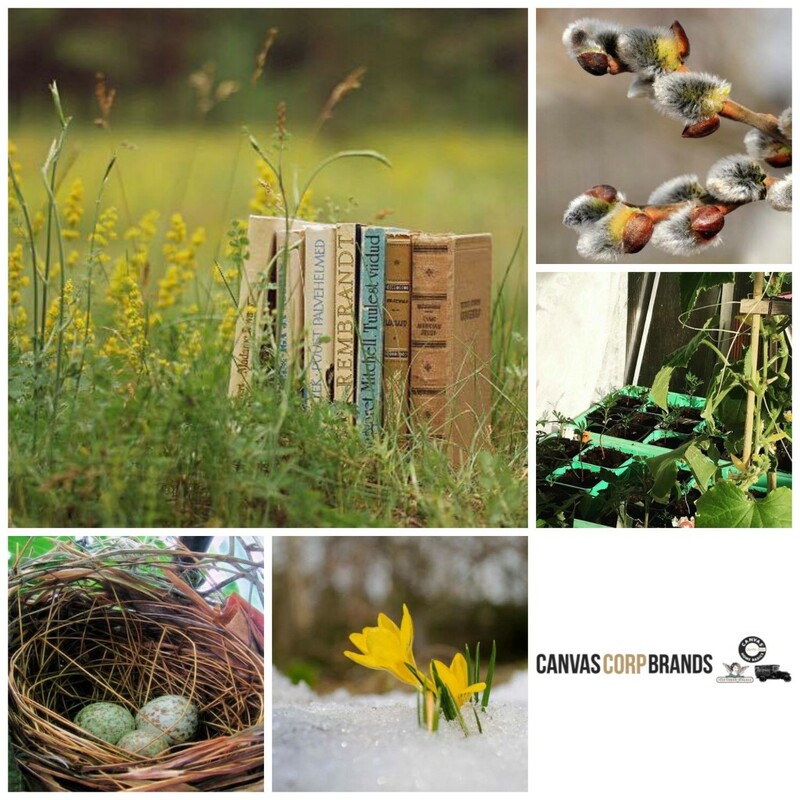 The prize is a box of supplies from Canvas Corp, 7gypsies and Tattered Angels!! And you get to Guest Design with your box of goodies in May! 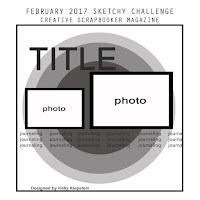 The challenge is open until April 5th - so put your thinking cap on and enter your project!! 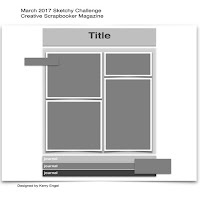 You can find March's challenge HERE. 2) In keeping with the Spring Theme I found this fun Spring/Easter Hutch Decor video by Craft-O-Maniac on YouTube. Love the cute ideas she has for decorating, and she has more inspiration on her channel! 3) Here are some FREE cut files you can use with your electronic cutter! 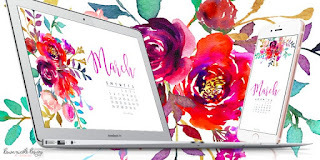 For March SpiegelMom Scraps has some pretty Spring files - and you can access all the other months from the above link as well! The SpiegelMom Scraps blog always has lots of inspiration!! 4) My blogland friend, Lisa, from A Mermaid's Crafts is having a 6 Year Blogaversary Giveaway! She designs amazing cards with so much yummy texture you won't believe your eyes :o Click on the link to find out how to enter her fantastic giveaway and take a peek at all the awesomeness on her blog! 5) And lastly, I wanted to share the beautiful March Calendar Wallpaper from Dawn Nicole Designs for your phone, i-Pad or computer. I love having a beautiful picture on my tech screens when I turn them on. It's so inspiring. Just scroll down to the link for whichever device you want the wallpaper for and save the photo, which you can then turn into wallpaper by going to your photo and choosing that option. There are tons of freebies on Dawn Nicole's blog and she does amazing hand lettering - well worth a look around! Thanks so much for stopping by today! I'd love to know who you've been checking out for inspiration!! 3 Cheers for Green Beers! Kiss Me I'm Irish St. Patrick's Day Card! FCCB #296 - St. Patrick's Day with VIDEO!